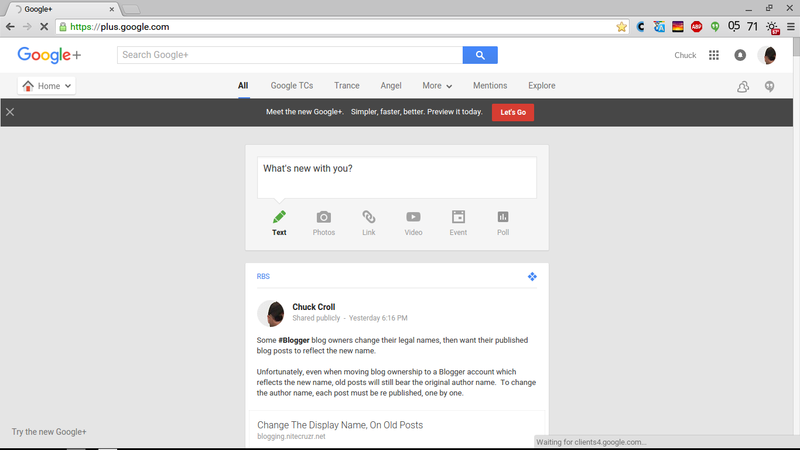 How you display and edit your Google+ profile depends upon which Google+ desktop you - and your readers - are using. Display the profile - Classic desktop. Display the profile - New desktop. Edit the profile - Classic desktop. Edit the profile - New desktop. 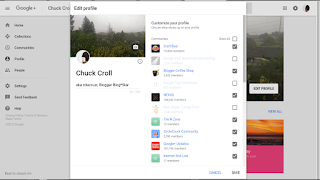 You can only edit your own profile - and only the currently active profile. If none of the screen prints, below, look familiar, you may need to look for a Blogger profile. The Classic Google+ Desktop - Displaying the profile. 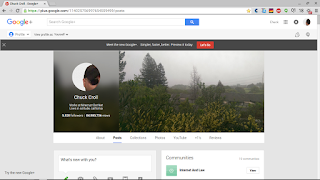 You can display your own profile, using the various Google+ desktop links. You can display any Google+ profile - as long as you know the ProfileID, or the account name. If you (or another person) has a Blogger profile, you will use the Blogger profile display. Start from the Stream display ("Home"). 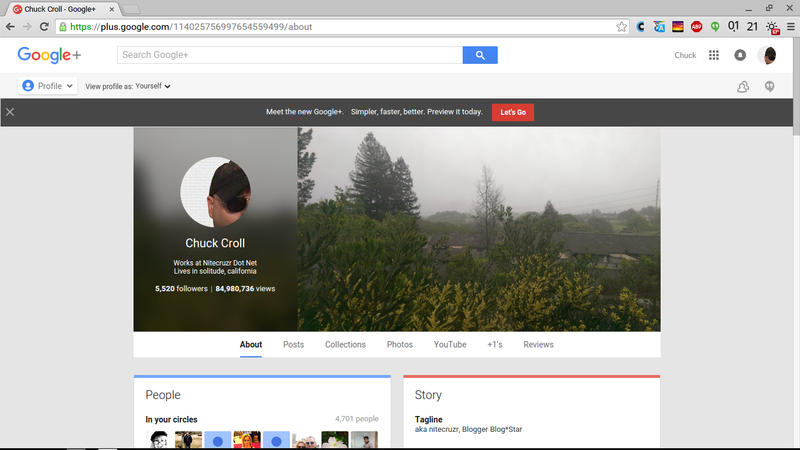 If your Google+ desktop dies not look like this, you probably have the new desktop. Click on "Home" and the menu pops up - unlike the new desktop menu. Select "Profile". 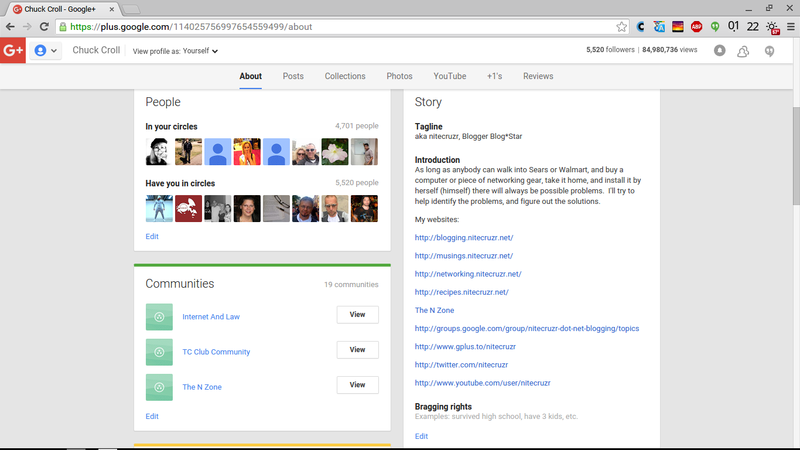 And there is the Profile display - and various profile sections, where you click on the "Edit" link. 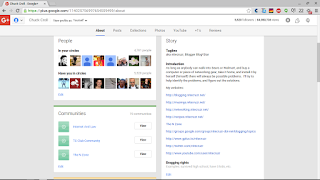 If the profile URL includes "www.blogger.com", you'll be looking at your Blogger profile. 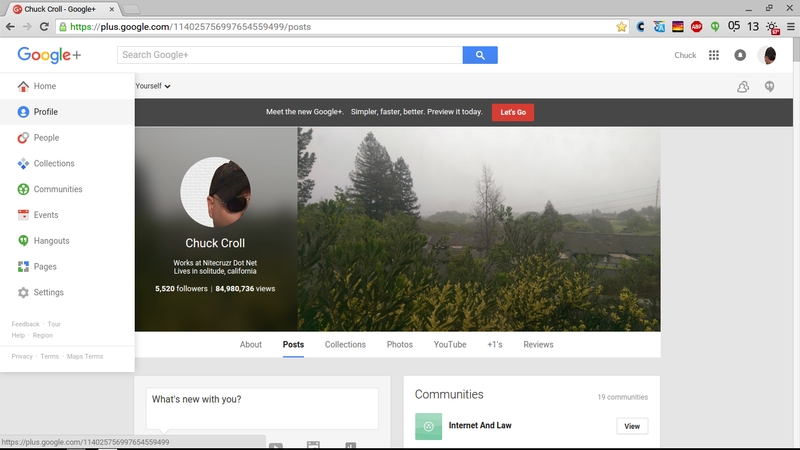 The New Google+ Desktop - Displaying the profile. 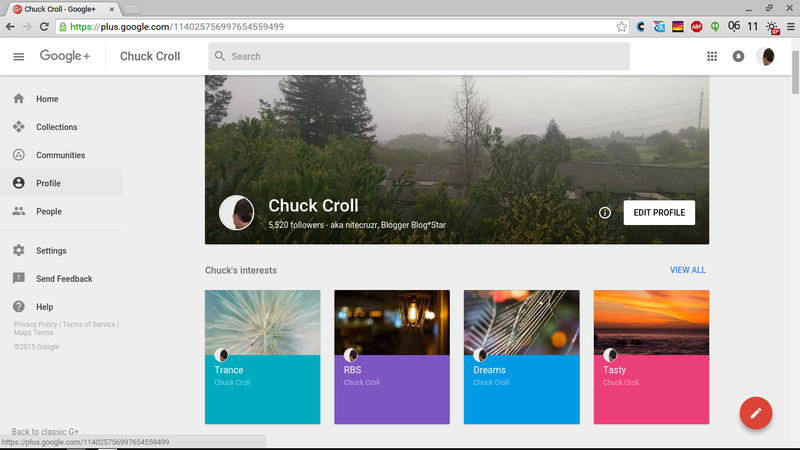 You can display your own profile, using the various Google+ desktop links. 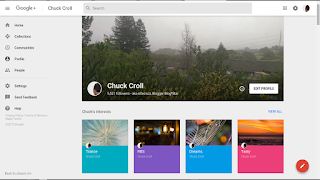 You can display any Google+ profile - as long as you know the ProfileID, or the account name. 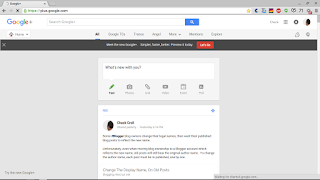 If you (or another person) has a Blogger profile, you will use the Blogger profile display. 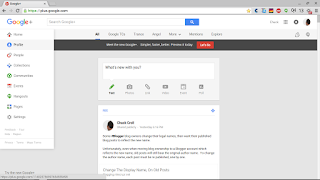 With the new desktop, the menu is permanently displayed - unlike the classic desktop menu. If your Google+ desktop dies not look like this, you probably have the classic desktop. And here we are, in my profile. How do I know it's my profile? The "Edit Profile" button - that you click on, to edit the profile. 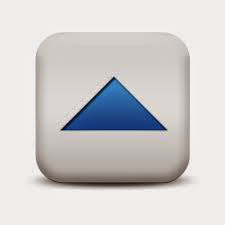 To the left of the button is the "About" link - and you click there, to see the profile content. 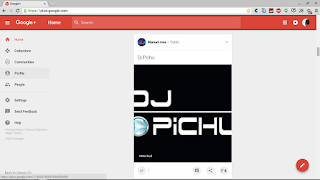 The Classic Google+ Desktop - Editing the Google+ profile. 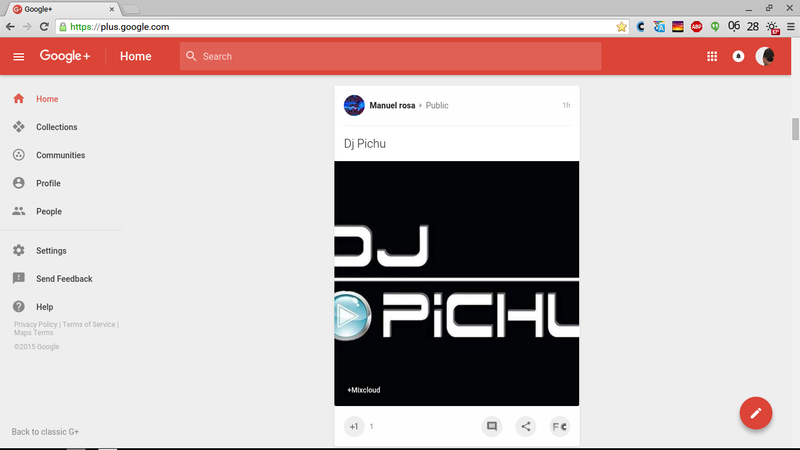 You can edit your own Google+ profile, using the Google+ desktop. You can only edit your own profile. 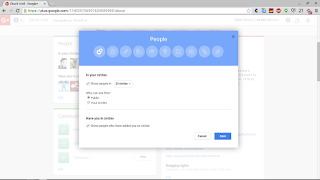 If you have a Blogger profile, you will use the Blogger Profile Editor. With the classic desktop, there is no actual "Profile Editor" - when you are logged in as yourself, you have "Edit" links on each section that you can edit. The classic desktop has profile content organised behind a row of tabs. The default tab gives you "Posts". Profile content is behind the "About" tab. So you scroll through "About", and find each individual profile section, and Edit as necessary. Just click on "Edit", in the profile section, and you get the Edit popup window. The New Google+ Desktop - Editing the profile. 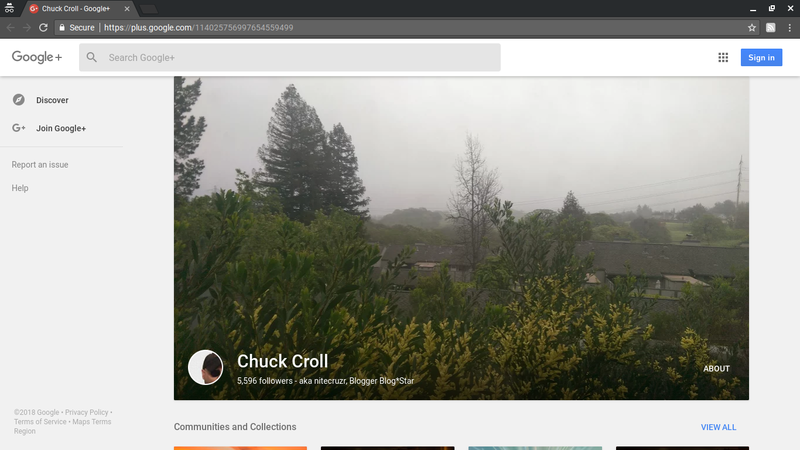 With the new desktop, you start from the Profile Display - and click "Edit Profile". 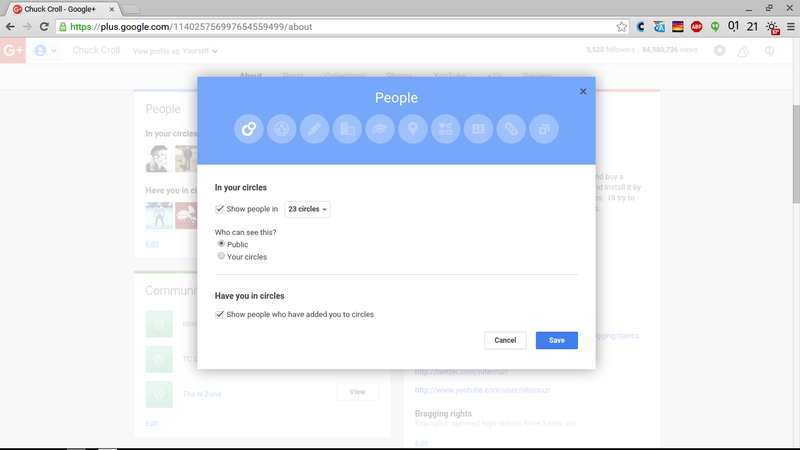 The profile editor start with a list of all communities - and which you wish displayed. To edit your personal information, you click on the circle "i". 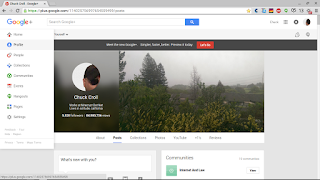 Unlike the Blogger profile, there is no Google+ Profile gadget to display on the blog. If you would like profile detail displayed, you may make your own custom "Profile" gadget, with little effort. 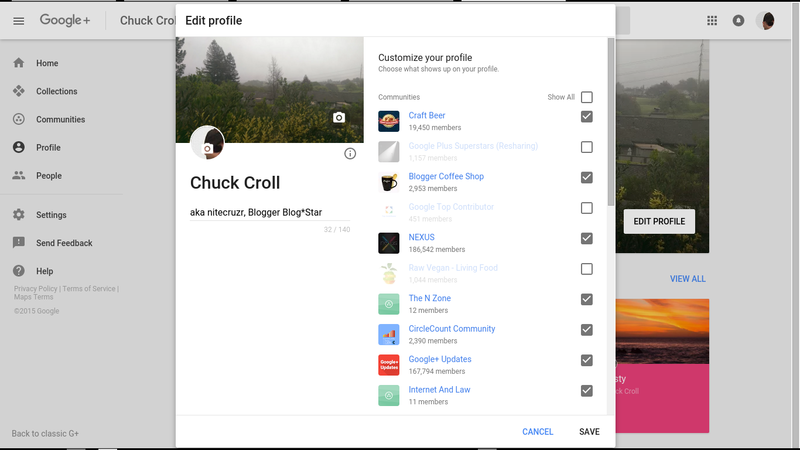 As with the Blogger profile display and editor, knowing what you should see - when properly logged in - can go a long way to identifying many reported problems with Blogger - when a Google+ profile is involved. And knowing how to use both the classic and new desktops - and the respective profile editors - and knowing how to identify a blog owner - will help you to help yourself. And that's what you should be working towards, as a blog owner.